Genocide recognition is crucial in gaining international support, preventing future violence and acknowledging the atrocities committed against a group of people. A recent report from the United Nations has found that the atrocities committed against the Rohingya minority in Myanmar, in which 10,000 were killed in “clearance operations” and 727,000 were displaced from Rakhine State, were genocide. 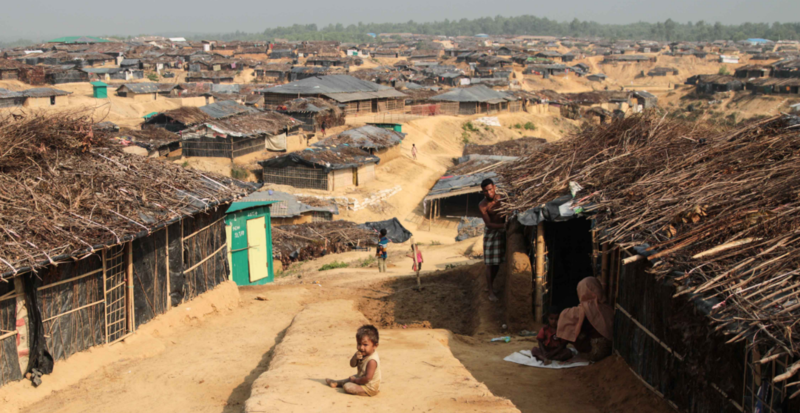 The UN has established that the Myanmar security forces acted with the intent to destroy, in whole or in part, the Rohingya people through killing, causing serious bodily or mental harm, inflicting conditions of life calculated to bring about the physical destruction of a group and imposing measures intended to prevent births. This was achieved through targeted and calculated massacres, the burning of villages and acts of torture and sexual violence. 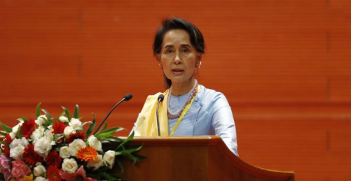 However, the United States, which has also released its own report to document the atrocities committed by the Myanmar military, has failed to call the crimes genocide or crimes against humanity. This position is not a reflection on the Trump Administration’s avoidance of such terms, as the atrocities committed by the Islamic State against the Yazidi people were referred to as genocide by the State Department in 2017. The recent refusal of the US to use the term genocide in relation to the Rohingya is a clear example of the politicisation of genocide language within international politics. The labelling of atrocities as genocide matters, yet world leaders often avoid using the term. For example, there is continued diplomatic contention regarding the application of the genocide label to the 1915 Armenian genocide, which has created a lasting discourse of denial and divisive politics. The tragedy of the Rwandan genocide in 1994 was exacerbated when world leaders including the US, the United Kingdom and France avoided using the term during the height of the violence. The Clinton Administration specifically avoided the use of the word genocide in a semantic effort to negate the perceived obligation to “actually do something.” The Rwandan genocide was only framed as such by the US after mass troop commitments were no longer necessary and the possibility of political backlash from committing troops to a mission with no national interests had waned. However, genocide recognition is far more than semantics. The importance of the genocide label can be seen in its ability to mobilise international advocacy efforts as well as providing victims with the recognition of the crimes that have been committed against them. This acknowledgment is even more important as we are now aware of the significant impacts of transgenerational cultural trauma for descendants of genocide survivors. The narrative of genocide denial has led to feelings of resentment and of one’s personhood being attacked, both of which have significant psychological implications for descendants. When an atrocity is not recognised as a genocide, a dangerous precedent is set for future avoidance, and a nation’s ability to recover from such acts is severely hampered. The UN framework of analysis for atrocity crimes identifies past acts of genocide, serious human rights violations and crimes against humanity as prominent indicators of future genocide risk. A history of violence and aggression makes engagement in future acts more likely as a means of responding to conflict and hostility. The recognition of acts of genocide is pivotal in altering the trajectory from violence as a means of conflict resolution to one of international recognition and mediation. The recent release of the UN report – and its clear acknowledgement of acts of genocide – provides an opportunity for international mobilisation and advocacy. The report also highlights the Myanmar Government’s unwillingness to recognise the crimes that have been committed and notes its role in abetting the military through acts or omissions that have contributed to atrocity crimes. The UN report provides the impetus for international action, such as Canada’s recent revocation of Aung San Suu Kyi’s honorary citizenship and the acknowledgment in Canada’s House of Commons of atrocities constituting genocide. The scope of the atrocities are undeniable. Satellite imagery before and after the “clearance operations” present a stark picture that now match the official narrative of Myanmar’s government that “there is no group called Rohingya in Myanmar.” The US State Department’s refusal to acknowledge the atrocities in Myanmar as an act of genocide has impacts which extend beyond a lack of intervention, and include the ability to incite further violence by engaging with language that fails to acknowledge the targeted and systematic persecution of the Rohingya people. As an international community we said “never again” to Rwanda, to Srebrenica, to Cambodia, to Darfur and to the Yazidis of Iraq. 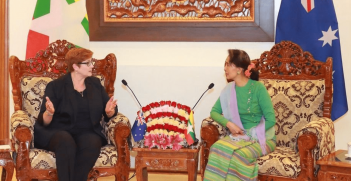 Australia has an opportunity, as a current member of the Human Rights Council, to play an essential role in recognising the genocide committed against the Rohingya people. While a statement has been released by the Australian Government condemning the atrocities and reaffirming the “seriousness” of the crimes, recognition that genocide has occurred is essential for intervention and accountability. Australia has an international platform to shift the discourse from condemnation to active recognition of genocide. If the international community wants to bring stability and security to Southeast Asia, the acknowledgment and recognition of the crime of genocide is essential. Michelle Ringrose is a PhD Candidate with the School of Justice, Faculty of Law, at the Queensland University of Technology. Her research surrounds the language used to describe acts of genocide and civil society advocacy for genocide recognition. 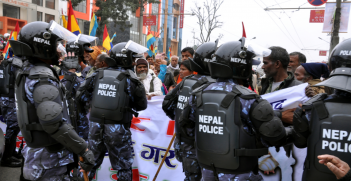 With many countries suffering from election violence today, what can be done to prevent it? Early, sustained and consistent preventive diplomacy can prove useful.